About once a year, I get an overwhelming, unrelenting bandcrush. 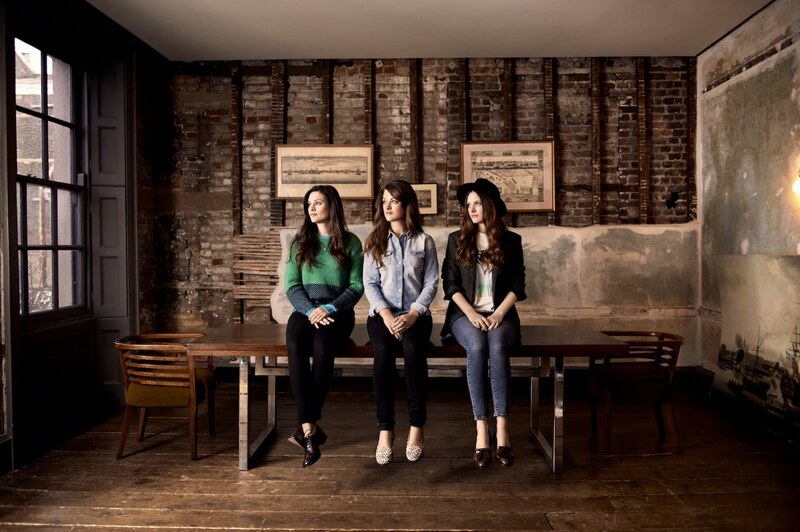 This year, the object of my obsession is The Staves – three sisters from Watford whose closely-woven harmonies are quite simply supernatural. The proof is in the pudding, and in this case the pudding is Mark Radcliffe's BBC 6 Music show. The trio turned up in his studio on Tuesday for a bit of a chat, and Mark goaded them into an impromptu, acapella performance of Wisely and Slow. Take a listen to what happened next. It's good. Too good. I'm thinking witchcraft was involved. Afterwards, Mark asked the band how those harmonies came about. "We've always sung together," said Jessica. "We were annoying people to live next door to!" "Our mum and dad have got really nice voices as well and they always sang around the house when we were little, and would sing nursery rhymes and Beatles songs to us. We just absorbed it as we grew up." And, asked how they decide who sings which part, Jessica replied: "Our voices seemed to have a weird thing were they fall in order of age. Emily is the oldest and she's got the bass-ier voice. I'm in the middle and I've got a mid-level voice (at which point Emily chips in: "a really average voice") and Camilla is the high one." The band are currently getting ready to release their debut album, Dead & Born & Grown, but you can already get their two EPs (Mexico and Motherlode), which I’ve had on near-constant rotation since April, on iTunes right now. And you’d be daft not to. Photo credit: Rebecca Miller. Check out her photoshoot with The Staves on her blog.